Sometimes, due to erroneous PDF export settings, some PDF files must be flattened. If you have problems with your PDF and it gets stuck in converting, you cannot upload it, or if after the upload the PDF is missing some elements and some colors look weird or washed out, then you might need to flatten the PDF. Open the PDF in adobe then click on File. Next, hit Print in the drop-down. 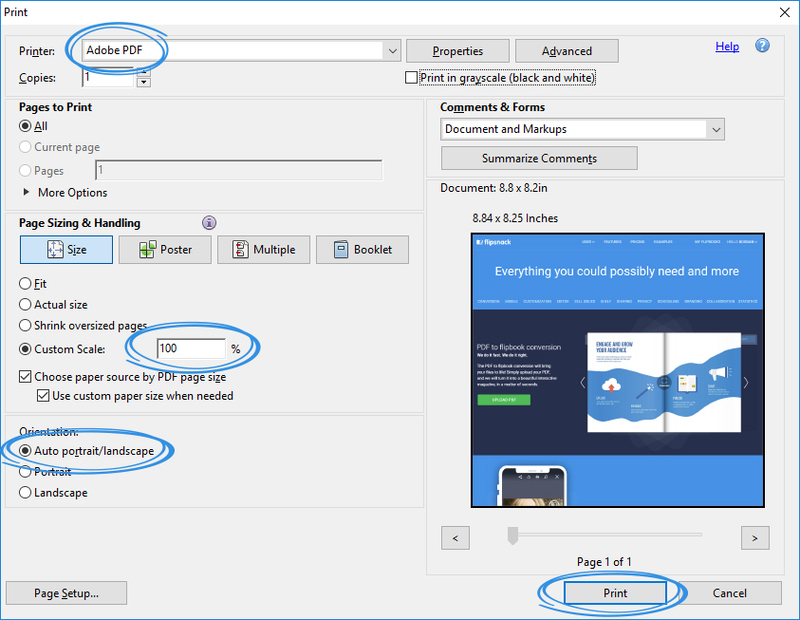 The next step is to select Adobe PDF for your printer and set the correct Page sizing and orientation. If you want to set the DPI size you can click on Advanced and there choose one of the DPI sizes provided, we recommend 150 DPI size. After you finish with all these settings, click on Print and you will be asked where to save the file. 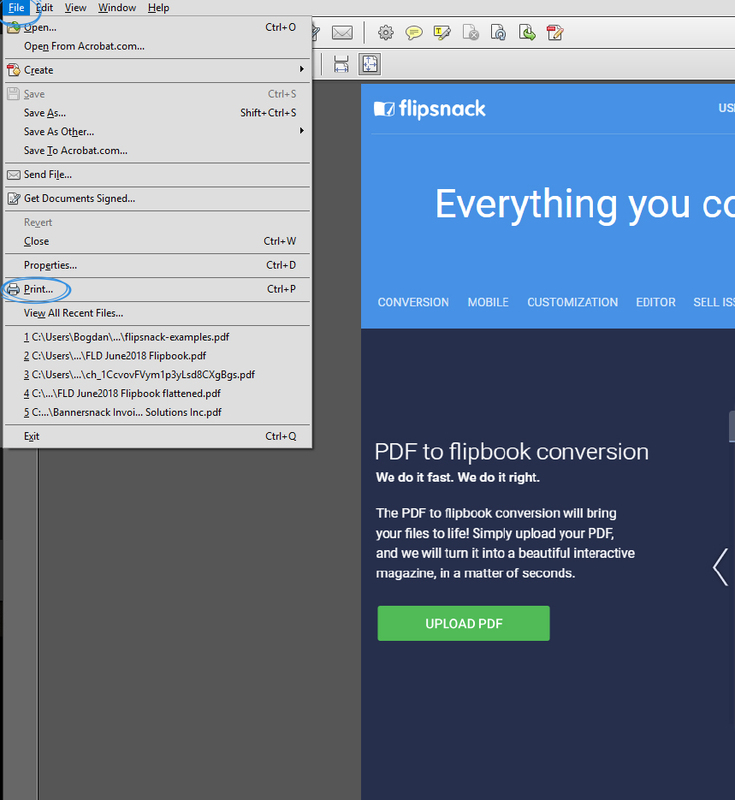 After you click Save, the PDF will be flattened and you can upload it to Flipsnack without encountering any issues.